Clarke Quay is currently offering a $15 NETT set lunch promotion in various participating outlets – check out the full listing HERE! Coupled with FREE lunchtime parking, executives working around the area are in for a sumptuous treat. HFB was privileged to have the opportunity to explore the tip of the iceberg that Clarke Quay has to offer in terms of this lunch promotion. First stop, Warehouse Bistro, the latest entrant to an array of well established restaurants owned by the Esmirada Group of Restaurants. 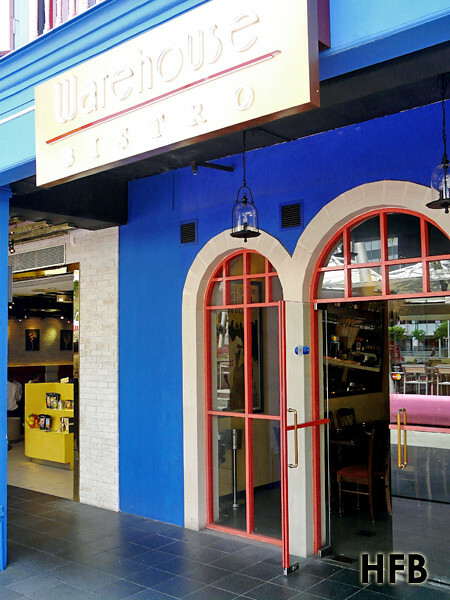 Located fronting the Singapore River, the concept was created to give diners a European bistros ‘feel’. Helmed by Chef Michael Gruber, who previously worked in Michelin star restaurant, Restaurant Prado, one will be offered a choice of either 1 starter with 1 main course or 1 main course with 1 dessert for the lunch promotion. The Salmon Rilette was the choice of starter. Add a sprinkle of salt and pepper if desired, and one can chomp away on the delightful creamy texture along with the accompanied toasted bread. For mains, choosing the Pan Seared Beef Patties was a clear-cut decision. 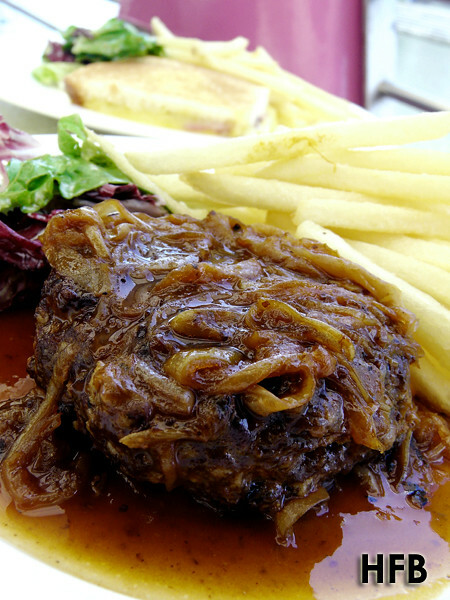 Served along with caramelised onion sauce, French fries and a bouquet of salad, the sauce was a perfect complement to the patties that was well-seared. 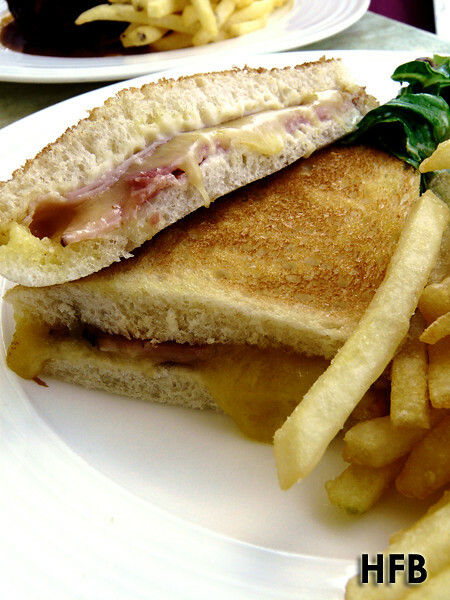 The Croque Monsieur, essentially an oven-baked ham and cheese sandwich served with béchamel sauce, French fries and salad on the side is a winner for the sandwich lovers – especially the oozy sauce from the cheese and béchamel combination that was such a guilty pleasure. 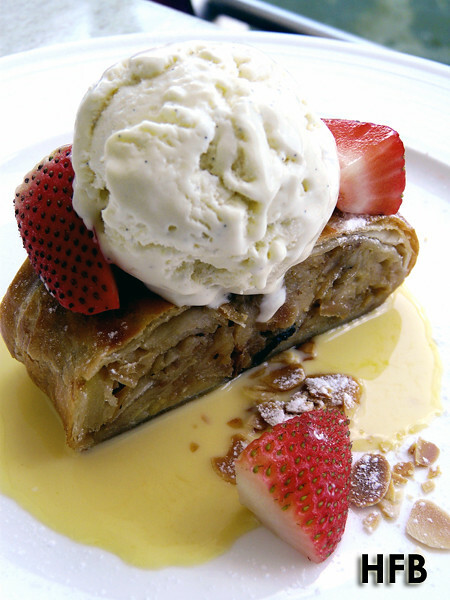 The Home Made Pear Strudel was the dessert of choice and one can never go wrong with a warm strudel coupled with a scoop of Mövenpick ‘real’ Vanilla Bean Ice Cream. What’s more, lunch now at Warehouse Bistro and stand a chance to WIN exciting prizes such as iPad, Cisco Mini HD, GUESS Watches, 25% and 50% dining discounts and FREE $15nett lunches. This promotion is valid with minimum spending of $30 in a single receipt with CapitaCard/DBS/POSB Card during lunch time, and valid till 31st August 2011. Next, we proceeded to the Tent, a Mongolian Fresh Grill and Bar, for our fill of unlimited DIY lunch set, of which one may choose from a range of base food, vegetables and meat from the buffet spread, and compliment it with a fusion of sauces and garnishes. One can either go along with their house concoction sauces or go wild with own mix. The possibilities are endless, so much so that there is even a section of sauces specifically for vegetarians. 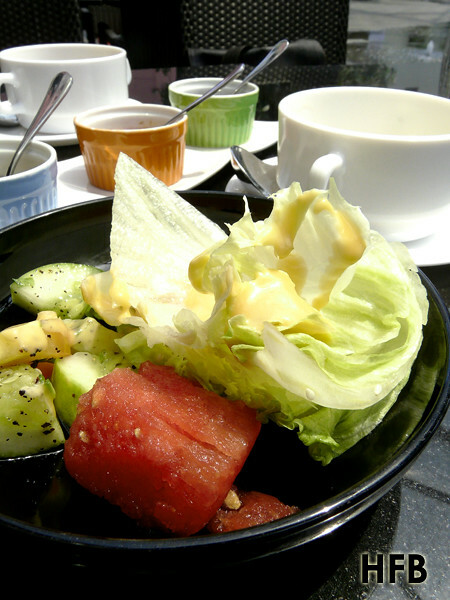 Along with that, there is also a spread of salad and soups. HFB tried a couple of noodles and rice combination along with some meat, but opted for the safe route of in-house sauces and he must say he was really impressed with the quality of the sauces. 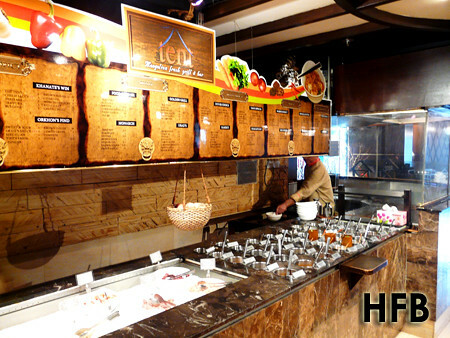 From mild spicy to very spicy, with names such as Takhi Sauce to Raging Khan, diners are truly spoiled for choice. Lastly, we visited an unlikely place for the lunch promotion – Spring Spa, located directly above The Pump Room. How is a spa associated with food you might ask? 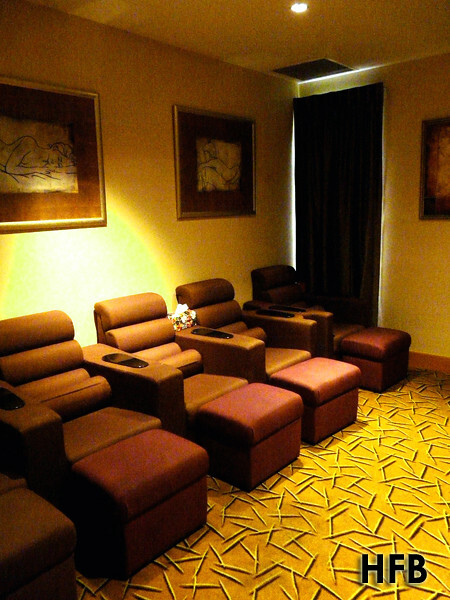 Well, for $15 NETT, one gets to enjoy Spa services (15 mins Head and Shoulder Massage, or 15 mins Foot Reflexology) plus 3 course local favourite set lunch consisting of Soup, Main Course and Dessert and 1 drink – a lunch offering catered to a really stressed up executive! 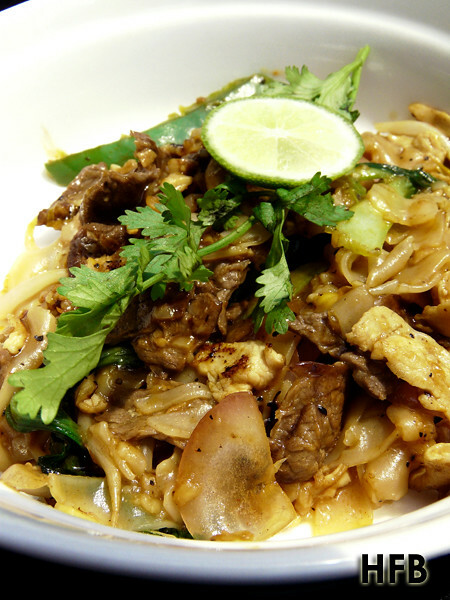 Menu varied from day to day, and Thai cuisine was the order of the day for HFB. 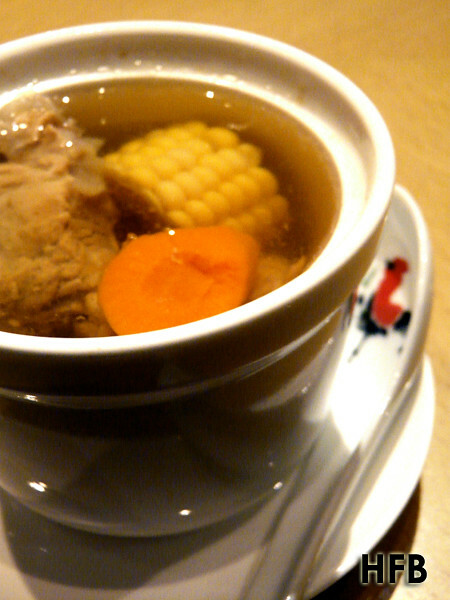 For soup, it was a Double Boiled Carrot and Corn Soup that was prepared overnight. 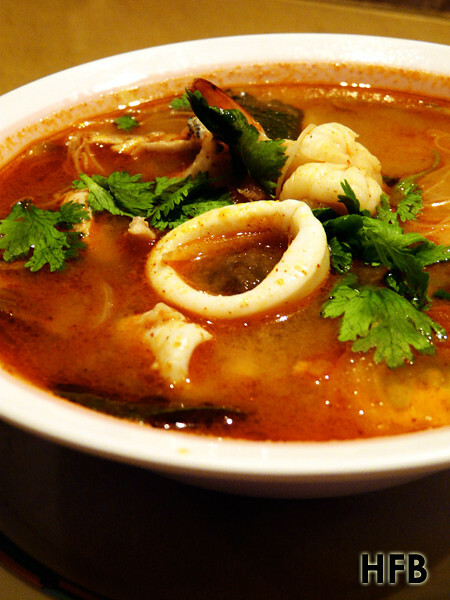 It was reminiscent to mummy’s soup that is so flavourful and tasty. For mains, we opted for the Stir-fried Minced Chicken with Thai Sweet Basil and the Seafood Tom Yum Soup with Rice Vermicelli. 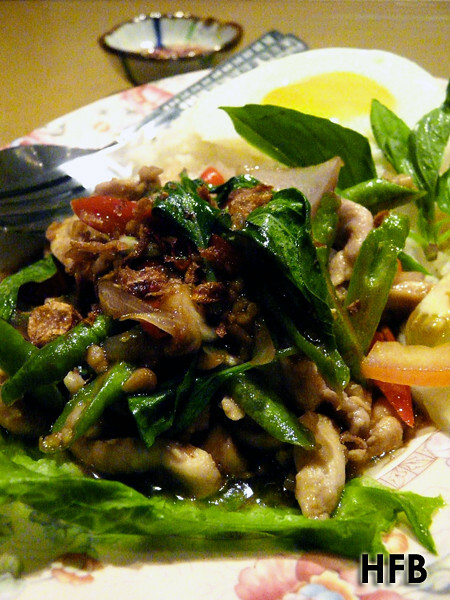 Both dishes were really comforting and indicative of authentic Thai food. 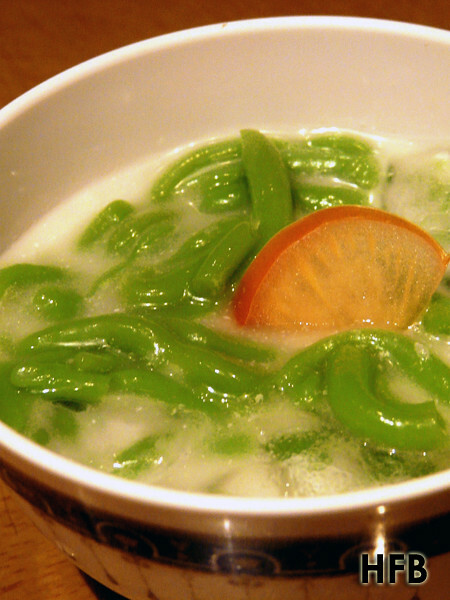 But the star of the day truly belongs to the dessert, Cendol – a greenish rice flour jelly that is usually prepared with coconut milk and sugar. It was so plump, soft and smooth that is unlike those one gets from the usual dessert stall. 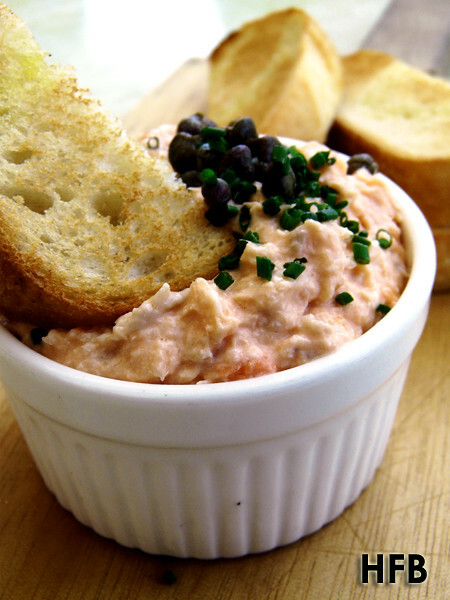 Can’t wait to sample these delicious-looking foods? 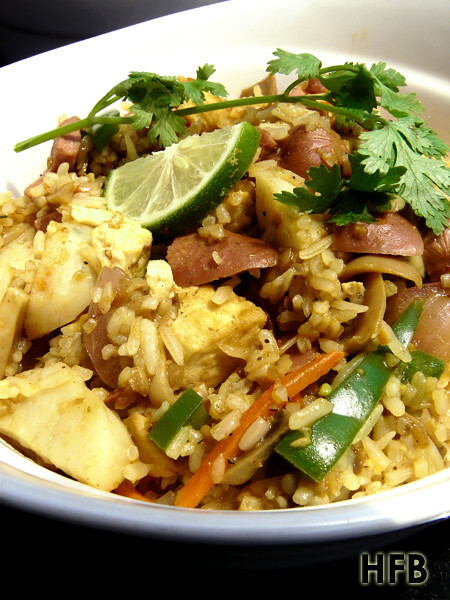 Join and ‘Like’ Clarke Quay fan page and PM Clarke Quay profile page to win Clarke Quay Dining vouchers! Thisfoodblog is doing way too many adv for His own good. Bye. It takes time and resources to continually bring readers food reviews and other activities like makan session and giveaways. And all these would not be made possible without the advertisements and support from sponsors. :D~ Keep eating and reading!! 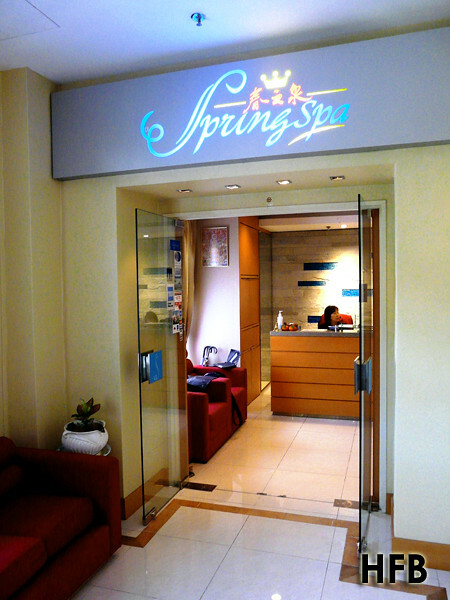 Is spring spa a decent place for female patrons? Hows the 15mins massage? Spring Spa has a separate spa area for female patrons, although I believe the dinning and resting area is shared (male patrons are allow to smoke within though). I had mine done by a very strong Thai lady, and boy it was good! Is the promotion still available now? Based on my knowledge, it was till Aug 2011.